1. 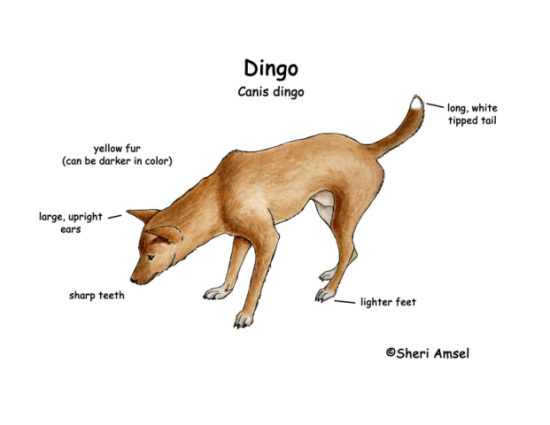 Dingos are native to Australia and live in the outback regions of the country. Though they are descended from Asian wild dogs, which hopped aboard ships of Asian settlers to the island of Australia about 4,000 years ago, dingos have developed characteristics necessary for living in the Australian outback and have been put in a class by themselves - literally, as they are taxonomically known as Canis lupus dingo. 2. The Aboriginal name for the dingo is Uluru, which is also the name of a central Australian sandstone rock formation, sacred to Aboriginal peoples of that area. 3. Unlike domesticated dogs, dingos stick pretty much to themselves. They generally roam and hunt in the outback by themselves, but come back to their packs to rest. Packs are generally familial and consist of the parents plus one or two of their litters. 4. Dingos hunt at dawn and at or after dusk, when the temperature is cooler on the outback. In the cooler regions of Austrailia, however, they can be seen hunting during the day. 5. Dingos have been known to find nearly 150 types of prey tasty, but they really like to hunt kangaroos! 6.. Most dingos are reddish brown, but some may be white, black, beige, spotted, or tipped, such as the one below. 7. Dingos are apex predators in Australia. That means that they are at the top of the pecking order when it comes to prey. No other animal hunts the dingo. Only man. 8. Like bears, dingos are opportunistic creatures and will avail themselves of food left out at camp sites. It is suspected that such occurrences have led to occasionally-reported aggressive attacks on children, or in baby Azaria's case, an opportunistic theft of a child. 9. The dingo population is considered 'vulnerable,' and is therefore at some risk of eventual extinction if efforts are not made to sustain it. 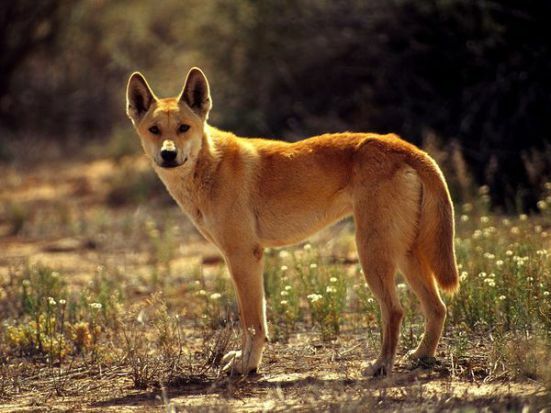 Since the introduction of domestic dogs to the island, almost one-third of the population of dingos are hybrid, as dingos can and do mate with domestic dogs. 10. Sheep farmers are at odds with dingo conservationists in Australia, because dingos threaten their sheep population. But the dingo is a revered and admired idol of the Aboriginal culture; why, in some regions of the country there are women who breast feed dingo cubs!